Sir Mike Rake, the new president of the CBI, has said that building a third runway at Heathrow is a “no-brainer” and that the Government should get on with increasing aviation capacity immediately. In a wide ranging interview, Sir Mike said politicians had spent too long talking about new runways but had failed to take any decisions. Sir Mike admitted that Heathrow is not the only option and also called for a second runway to be built at Gatwick.“We need to decide quickly and get on with it,” he said. 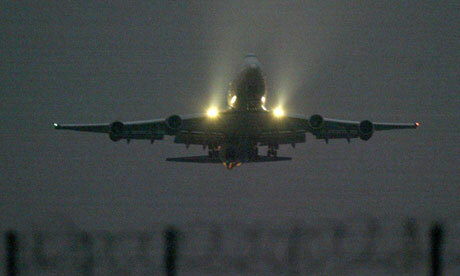 Sir Mike’s comments come three days after Heathrow outlined plans for a super-airport with a total of four runways. However, his personal views appear to be slightly at odds with the CBI itself. Last Thursday, the CBI released its response to the Howard Davies-led review into airport capacity, stressing that it was open to whatever solution could gain cross-party support and lead to speedy growth. The CBI remains the only business group that does not unequivocally back an enlarged Heathrow as the way to deliver such growth. Sir Mike also warned of the dangers to the UK economy of the increasingly negative rhetoric on immigration. In his first interview since taking the helm of Britain’s biggest business organisation last month, Sir Mike said that economic migration had provided real benefits to the UK, but that the “language used in some quarters” was detracting from Britain’s attractiveness to overseas students and workers. The CBI president, who is also chairman of BT and deputy chairman of Barclays, said that business has a clear role to play in ensuring the right image is projected of the UK’s willingness to welcome skilled migrants on the world stage, in part to help fill the increasing skills gap. The CBI has commented ahead of The Airports Commission closing its proposal deadline tomorrow. The independent commission, chaired by Sir Howard Davies, is tasked with identifying and recommending options for maintaining the UK’s status as an international aviation hub. The interim report is due later this year and the final report in 2015. “We cannot bury our heads in the sand. Aviation capacity in the South East could run out as early as 2025 and we’re still failing to use our regional airport network to the full. “Every day we delay these critical decisions, we risk falling further behind our competitors. Whatever solution is found has to help UK businesses expand into emerging markets. Firms in high-growth economies are not waiting for us to make a call, before taking their business to countries with much better connections. “Business is starting to wonder how serious the parties are about Davies. Politicians have consistently failed to agree a way forward and have been forced to outsource the decision to the Commission. 1. The CBI’s Trading Places report in March 2013 – said the UK risked missing out on billions of pounds in trade unless it boosted directed flights to the fastest growing economies in the world. Maximising capacity of existing assets if commercially viable, with more flexible ‘mixed mode’ operations at Heathrow. • New runway capacity in the south of the UK – at Heathrow, Gatwick, Stansted, Birmingham or elsewhere – subject to review of the most feasible option to address current constraints at Heathrow. • A strategy to increase public transport access to UK airports from 40% to 60% by 2030, supported by new rail links to improve access to key airports such as links to Manchester through a new Northern Hub. • Sufficient runway and terminal capacity to accommodate future demand projections, domestic flight connections from UK ‘spokes’ and headroom to ensure resilience. • Excellent connectivity to London and the wider UK transport network, including motorway and high-speed rail links. The CBI has weighed in to the aviation debate to demand short-term measures for more airport capacity in the southeast, with a new analysis claiming to prove that one daily flight to key emerging markets could boost trade by £1bn a year. Warning that the UK is missing out on billions of pounds in potential trade without direct air links to booming cities in Brazil, Russia and China, the CBI risks alienating residents of west London by also calling for a measure that would greatly increase disturbance on Heathrow flight paths. Katja Hall, CBI chief policy director said: “Boosting exports is critical to our long-term growth. Our analysis shows that just one new daily flight to the eight fastest growing economies in the world could generate as much as £1bn a year in trade. “Every day we delay expanding our connections, we risk falling further behind our competitors. Firms in high-growth economies are not waiting for us to make a decision before taking their business to countries with much better flight links. While the business group does not throw its weight behind any one option for additional runways in the southeast, it calls on the Davies commission to recommend airport expansion in the long-term, and to demand instant action to improve surface links to airports and boost capacity at Heathrow. It says rail and road routes to London and regional airports should be upgraded, and “mixed mode” flights at Heathrow should be explored – a system that allows increased landings and takeoffs. Local councils and residents groups are overwhelmingly opposed to this on noise grounds, arguing it would destroy periods of respite, and even the airport has said it will not seek to implement it. Rhian Kelly, CBI director for business environment policy, said the new research went further than a similar, pro-expansion report produced recently by Frontier Economics in that it had tried to strip out other factors such as tourism and culture to prove the causal links between aviation and trade. She claimed the pattern showed the links were “neither chicken or egg – it’s a virtuous circle”, but highlighted an additional potential £920,000 in trade for every extra 1,000 passengers flown between EU countries and the Bric economies . Britain’s two most powerful business groups are pressing the Government to urgently spell out its strategy on aviation amid an increasingly fractious debate over a third runway at Heathrow. The British Chambers of Commerce (BCC) and the CBI on Monday stepped into the row over airport capacity in the south-east of England after Boris Johnson vowed a third Heathrow runway “will not be built” as long as he is Mayor of London. Mr Johnson made his position clear after suggestions that several senior members of the Cabinet were pushing for a Heathrow expansion to be put back on the negotiating table. A Government paper on aviation has been delayed until the summer. Posted: Sunday, July 21st, 2013. Filed in General News, News about Airports, Recent News.